The Jewish Holocaust Centre is dedicated to the memory of the six million Jews murdered by the Nazis and their collaborators between 1933 and 1945. We consider the finest memorial to all victims of racist policies to be an educational program that aims to combat antisemitism, racism and prejudice in the community, and fosters understanding between people. Disclaimer: The opinions expressed in Centre News are those of the authors and do not necessarily reflect those of the magazine editor or editorial committee. While Centre News welcomes ideas, articles, photos, poetry and letters, it reserves the right to accept or reject material. There is no automatic acceptance of submissions. Human Rights Sub-Committee of the Joint Standing Committee on Foreign Affairs, Defence and Trade. It was an excellent opportunity to ensure that parliament gained a broader understanding of IHRA. We farewelled Executive Director Warren Fineberg who retired at the end of 2018. We would like to express our gratitude to Warren for his wonderful service over the past eight years, which has put the JHC in a strong place for the future. We also farewelled Director of Community Relations and Research, Dr Michael Cohen who organised hundreds of successful events during his time at the JHC. We wish Warren and Michael well for the future. We are delighted that Jayne Josem has accepted the new position of Museum Director and look forward to watching the Centre thrive under her leadership. ver the past few months, the Jewish Holocaust Centre (JHC) has hosted – among other events – a lecture on the Haredi narrative of the Holocaust; the exhibition ‘Registered, persecuted, annihilated: the sick and disabled under National Socialism’; the launch of Freda Hodge’s book Tragedy and Triumph: Early Testimonies of Jewish Survivors of World War II; and the Betty and Shmuel Rosenkranz Oration on ‘Shifting Narratives of the Holocaust in Contemporary Society’. This rich array of subjects has made my job as editor relatively easy, as they have yielded a number of in-depth articles for this edition of Centre News. Jayne Josem has unearthed correspondence between Holocaust survivors, the late Georges Mora, Director of Tolarno Galleries, and the late Saba Feniger, Curator of the Jewish Holocaust Centre museum, written in the 1980s. The letters were triggered by Saba’s invitation to Georges to participate in the exhibition titled ‘From Holocaust to New Life’ held at the JHC. It is a poignant exchange, brought to life with samples of their own handwriting. We also bring you Andy Factor’s story of escaping from Europe and building a new life in Australia centred on music, art and family, and a moving poem by child survivor Paul Kraus. o paraphrase the ancient Chinese philosopher Lao Tzu, every journey begins with a single step. And so I begin the journey of leading the Jewish Holocaust Centre (JHC) through this pivotal moment in our history. We are 35 years old, an important stage in any life. No longer an unsure adolescent or young adult wondering what the future holds. We have a clear direction and purpose, we have achieved a level of maturity and success. We are still learning, and part of my responsibility is to ensure our team – staff and volunteers – keeps learning and growing. There is always new knowledge to take in, room for improvement. We all need to evolve and adapt, for the world around us is ever-changing. We are blessed to have so many elders to show us the way, to pass on their knowledge and to nurture and support us. We are living in times where the truth, and therefore the historical truth, is under increasing threat. Our most important role here is as guardians of the truth. Our archives hold the physical and documentary evidence of the Holocaust. Our testimonies have captured the recollections of the survivors who experienced the Holocaust. Our museum presents a display of the history of the Holocaust – as much as can fit into a small exhibition space. Our education program expands on this and includes the opportunity for visitors to meet Holocaust survivors, hear their stories and ask them questions. Week in, week out, we guard the truth and present it as it has been entrusted to us by Holocaust survivors themselves. And as the Holocaust passes from living memory, our work becomes even more vital. I am first and foremost a historian, secondly a curator and now I have a new role as guardian of the legacy of the survivors in the form of this incredible organisation. Each of these roles informs the next, so it was a natural progression after 18 years to take on leadership of the JHC. I know this place inside out and I understand its importance to both the Jewish and the Australian community. Please join us on our journey as we expand and rebuild, inspired by the overwhelming popularity of our education programs. We hope you will support us in whatever way you can. Help us defend the truth. s Professor Michael Berenbaum said on his visit to Melbourne last November, the greatest thing that could happen to Holocaust museums would be that they become irrelevant. Sadly, as we approach the 80th anniversary of the outbreak of the Second World War in September this year, the work of Holocaust museums and their education programs has become more urgent and relevant than ever before. The demand for Holocaust education programs is reflected by the ever-increasing numbers of students attending the Jewish Holocaust Centre (JHC), whether for the Nona Lee Secondary Education program or the ‘Hide and Seek: Stories of Survival’ program for students aged 10-14 years, supported by Gandel Philanthropy. In 2018 the JHC broke previous records of attendance with 23,000 students participating in our programs and 12 new schools participating in the Hide and Seek program. Quality Holocaust education is not just about numbers, but about its impact on our visitors. At the JHC, educators and volunteer guides aim to deliver the best quality experience for our visitors, linking the program to topics the students are studying and striving to make meaningful connections with all our visitors. Our goal is to achieve those intangible moments when our message – the dangers of hatred, acceptance of difference and the importance of making a difference – has been heard. At the end of 2018 we were sad to farewell Fiona Kelmann from the education team. We have been grateful for all that she has contributed and look forward to her continued involvement in our Custodians program. At the beginning of 2019 we welcomed two excellent educators, Soo Isaacs and Ilana Steinhardt, to the team. Both Soo and Ilana have come to us with a wealth of education experience and passion for Holocaust education. Their employment will assist us to cope with the heavy demand for our education programs, and provide the opportunity to work on developing programs for the changes that will come with the museum redevelopment. As much as we would love the need for Holocaust education to decline, we are ready to meet the demand and ensure that we can deliver the best quality programs to all students and other visitors to the JHC. n her 18th year at the Jewish Holocaust Centre (JHC), Jayne Josem has become Museum Director, bringing to the role a passion for the work of the JHC as well as her extensive work experience.  Jayne Josem and Phillip Maisel OAM. Jayne left to complete a Master of Arts in Public History at Monash University, which led her back to the JHC. She first volunteered with museum curator Saba Feniger and then, in 2001, took over as curator. Initially working part time, her hours increased to full time as she became involved in the redevelopment of the permanent exhibition and the staging of many temporary exhibitions. ‘We have a wonderful cohort of survivors, staff, board members and volunteers working together to achieve our aims. I am privileged to be working here at this pivotal moment in the Centre’s history, as we embark on our anticipated redevelopment, fully supported by our community,’ she says. Our new building will include an upgraded Permanent Museum Display, dedicated Children’s Museum, Temporary Exhibition Gallery, expanded research, library and resource facilities, flexible learning spaces, and enhanced contemplative and memorial spaces. The projected budget, including relocation during the building phase, is $16 million. The Capital Campaign ‘Remember the Past, Build the Future’ is co-chaired by Helen Mahemoff and Phil Lewis. They have commenced fundraising and have been very heartened by the response. Over the coming months, the JHC will take the Capital Campaign to the wider community. ast year the Jewish Holocaust Centre (JHC) announced plans for a major redevelopment. The need for this significant communal project is the direct result of the success of our Holocaust education program, which is attracting increasing student numbers, coupled with the widespread recognition of the importance and relevance of our message. ‘Although raising this amount is a significant challenge, we are confident of success in the months ahead. 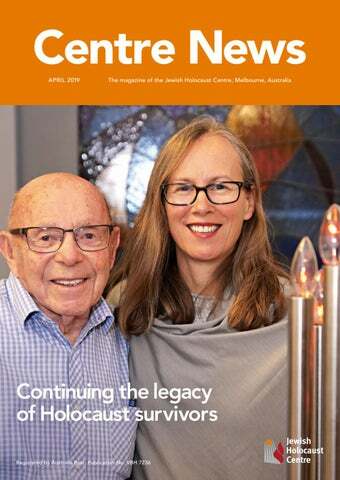 The vital message of the Holocaust Centre is so relevant in today’s world and we are proud that, with the community’s support, the legacy of our Melbourne Holocaust survivors will continue,’ they said. Helen Mahemoff has been Chair of the JHC Foundation – a permanent endowment which ensures the on-going financial security of the JHC – since its inception in 2003. Helen continues as Foundation Chair as well as co-chairing the Capital Campaign. Both Helen and Phil Lewis are members of the JHC Board. For more information about supporting the Capital Campaign please contact Helen Mahemoff on 0417 323 595, Phil Lewis on 0418 318 983, or Leora Harrison, JHC Director of Development, on 9528 1985. Dr Michael Berenbaum gave the keynote address at the Betty and Shmuel Rosenkranz Oration, held in Melbourne in November 2018. As well as discussing shifting narratives of the Holocaust (which will appear in the next edition of Centre News), he provided insights into the aftermath of the Pittsburgh Tree of Life synagogue shooting. This is an extract from his address. here is a significant gap between how Jews perceive themselves in both North America and Israel and how they are perceived by others. In North America Jews are perceived as a privileged part of the white majority, the ultimate insiders â&#x20AC;&#x201C; an odd situation for a community that is perhaps a 2% minority and considers itself an outsider. Many Jews in America have forgotten the quota systems, housing discrimination and worse that plagued the community until they successfully asserted their rights and were perceived by others as having earned those rights following the Second World War. Many American Jews see themselves as conditionally white. They are perceived by others as privileged whites. the charge of ‘Christ killer’, Pope and now Saint John Paul II recognised the State of Israel, and Pope Francis indicated that no missionary activity is required toward Jews. Liturgical changes have reinforced these attitudes and Jewish-Roman Catholic relations are the best they have been since the advent of Christianity. The fall of Communism eliminated a second source of antisemitism and Russia itself is headed by a leader who, however difficult, and perhaps even dangerous to Israel, has a warm feeling toward Jews, a product of his childhood memories of Jewish neighbours whose gracious hospitality he enjoyed. In 1980, Earl Raab, an astute observer of Jewish life, wrote that if one were to ask Jews if antisemitism was on the rise, the answer would overwhelmingly be yes. But empirical evidence indicated antisemitism was declining, meaning that a smaller segment of the population was antisemitic and that their hatred of Jews posed little to no obstacle to the advancement and safety of Jews. Secondly, social media and the world wide web have given these hatreds a megaphone, so that these voices are heard as never before, and are reinforced in their views by the communities they form with mutual support systems. Social media also empowers vitriol and the opportunity for anonymous expression. It has particularly affected journalists and writers who are subjected to vitriol online and by email. Thirdly, because Jews are now perceived as a privileged part of the white majority, expressions of antisemitism are no longer disqualifiers of people from taking leadership positions in social movements. The refusal of the Women’s March leaders Tamika Mallory and Linda Sarsour to disavow the rabidly antisemitic Louis Farrakhan is but one example. And since Jews are perceived as privileged by many, and Israel as an oppressor by the left, criticism of them is fair game. With restraints off, criticism is expressed in concrete actions. What is the good news – yes, the good news – of the horrific events of Pittsburgh? How then can one account for the perception that antisemitism Civil Society held. The mayor is on the rise? Raab indicated that was there, police went into the for decades after the Holocaust, building to save Jewish lives antisemitism was self-censored and Pittsburgh protested. The even by antisemites who were Major League Baseball World reluctant to express their Series began with a moment feelings because they did not of silence in memory of the want to be associated with the Pittsburgh 11. The Pittsburgh social approbation that comes Penguins, the hockey team, with antisemitism. By the 1980s, and the Pittsburgh Steelers, that barrier was broken, first the football team, wore by segments of the African Jewish stars along with their American community who traditional logo. One hundred  (l-r) Dr Michael Berenbaum, Jayne Josem and Lisa Phillips targeted Jews because they members of the team, football were familiar and white, and later players, owners, coaches and in response to the oil crises and the war in Lebanon, which made management came to the funeral of the brothers Cecil and Israel, and by association all Jews, fair game. It was less an increase David Rosenthal to express solidarity. Priests and ministers came in antisemitism than an increase in the social permissibility of to the synagogue. Joanne Byrd Rogers, the 90-year-old widow expressions of antisemitism that triggered the feelings of insecurity, of Fred Rogers, the towering moral figure in American society, even as barriers to Jewish advancement were broken in academia, came out to defend Mr Rogers’ neighbourhood, Squirrel Hill. industry, banking, insurance, government and the media. Newspaper editorials condemned the crime, journalists who had left Pittsburgh came home with their writing to defend civil Today Jews again believe that antisemitism is on the rise; their society, and the Pittsburgh Gazette headlined the front page perception is supported by the media and the general public and with the Hebrew words of the Kaddish. yet there is ample evidence to the contrary. What is to account for the discrepancy? Perhaps most importantly, American Muslims contributed more than $200,000 towards the Tree of Life Congregation and the Three factors seem persuasive. First, the expression of all victims’ families, giving one hope that a moderate version of Islam hatred is now more permissible. Beginning with the election of may yet develop in the United States and that these Muslims President Barack Obama, the expression of racism has increased understood that civility is the cornerstone of interreligious discourse dramatically, whether masked as criticism of the president or direct and a basic requirement of mainstream American religious life. racism. In the 2016 election, anti-immigrant, anti-Mexican and anti-Muslim expressions of hatred fuelled the election of Donald J The message was clear: Jewish lives matter, hatred cannot win Trump and and weakened the general sense of civility in American out, we are better than this – we must be better than this. national discourse. This has continued and the vociferousness of White Supremacists has only added to the disquiet. Events at Charlottesville, where Nazis marched, a woman was murdered, a synagogue was surrounded by AR15-carrying thugs, and a Dr Michael Berenbaum is Professor of Jewish Studies and black man was beaten, only deepened the feeling of angst. And Director of the Sigi Ziering Institute: Exploring the Ethical President Trump said there were good people on both sides, while and Religious Implications of the Holocaust, located at the blaming protesters against racism for the violence. American Jewish University. n Tuesday 25 July 1939, a four-month-old boy named Gerhard Kretschmar was administered a lethal dose of the barbiturate phenobarbitone in a paediatric clinic in Leipzig. Born blind and with malformed or absent limbs, Gerhard was a sickly boy who suffered frequent seizures. For the duration of his short life, Gerhard’s father referred to him simply as ‘that monster’. Gerhard’s parents had appealed directly to Adolf Hitler’s Chancellery for permission to grant the baby a Gnadentod (mercy death). The Kretschmars were pleased to be liberated of what they saw as the burden of their disabled child and rejoiced in later birthing so-called normal children for their beloved Führer and fatherland. Gerhard Kretschmar’s would prove to be the first of 300,000 murders of adults and children in a crime that is now known as the Krankenmorde – the murder of the sick. Five years earlier, the new National Socialist regime enacted hereditary health legislation that would enforce the sterilisation of 400,000 people. Up to 5,000 people died from complications of these procedures, while the hundreds of thousands who survived lived with the affront of this assault on their body and personhood. The infanticide of Gerhard Kretschmar pushed the persecution and exclusion of people living with disabilities and illnesses into a new phase of unrestrained mass killing. Special children’s killing centres called Kinderfachabteilung would murder 5,000 children with disabilities by 1945. Tens of thousands of other people would be murdered in gas chambers in a network of killing centres, under a medically supervised and coordinated program known as ‘Aktion T4’. Equal numbers of people living in asylums in Poland and the USSR would be killed throughout the war by gunshot or mobile poison gas chambers mounted on modified trucks. These sporadic massacres by Einsatzgruppen and the Wehrmacht were often at the request of the victims’ doctors. So proficient were these murderers of the sick and disabled that they would be tasked with implementing the killing of concentration camp prisoners too weak to work, and ultimately the attempted genocide of Poland’s Jewish population in the Reinhardt death camps of Belzec, Sobibor and Treblinka. Many of the Shoah’s most barbaric criminals began their careers in Aktion T4. After the summer of 1941, the responsibility of cleansing the Volk (the people) of those deemed ‘life unworthy of life’ would be handed to psychiatrists, nurses and functionaries in a network of hospitals that became the new factories of death. Jewish patients in hospitals and care institutions in Germany and its occupied territories were murdered regardless of their clinical state. The Jewish patients of hospitals in the Berlin area who perished in 1940 in the gas chamber at the Brandenburg-an-der-Havel euthanasia centre were among the Holocaust’s first victims.  Associate Professor Michael Robertson. impaired by their illnesses that the recovery of their fellow patients created a form of therapeutic nihilism that was embodied in the notion that came to define mid-century German psychiatry – ‘cure or annihilate’. This was not a case of uniform perpetration by the profession. There are numerous instances of resistance or refusal of psychiatrists to participate in the selections of patients for death. The majority of the profession, however, were either bystanders or beneficiaries of the crime. In our research work we have encountered innumerable instances of psychiatrists during the National Socialist period going about their work, oblivious or indifferent to the murder of patients by starvation, overdose or gas. together with other international conventions, increasing attention has been paid to human rights in global mental health and psychiatry. However, whether the global community has actually learned from the painful past remains an open question. After the war, most of the perpetrators of the Krankenmorde returned to their professional lives, many receiving acclaim at the time of their retirement or death. Transcripts of the final judgement in the ‘Doctor’s Trial’ in Nuremberg in 1947 appear to indicate that the judges took the view that the state had the right to end the lives of those deemed appropriate for ‘euthanasia’ and that such killings did not constitute a crime, unless based on racial grounds or perpetrated against citizens of other nations. It was not until the 1980s that a series of Social Democratic governments in Germany sought to acknowledge these ‘forgotten victims’ of National Socialism. Even then, the Bundestag agreed to a one-off 5000 DM payment to sterilisation victims to put an end to the matter. The stigma of mental illness, genetic vulnerability, intellectual and physical disability continued to silence the victims of the Krankenmorde or their families for many decades. indefinite civil detention of people with cognitive disabilities; and systems that have enabled the over-imprisonment of people living with mental illness and disabilities and their widespread abuse when in jail – through to subtle patronising acts or misplaced pity for people living with disabilities. The 2015 report of an Australian Senate inquiry found that violence, abuse and neglect of people with disability is ‘widespread and takes many forms’. It stated: ‘Throughout this enquiry, the evidence presented from people with disability, their families and advocates, showed that a root cause of violence, abuse and neglect of people with disability begins with the de-valuing of people with disability.’  (l-r) Jayne Josem, Shirley Glance OAM and Michael Debinski. The most malignant form of ableism is invisibility, which is shamefully rampant in our health system and our public policy. In all its forms, ableism avers that people living with disabilities have lives of lesser value than others. Leo Alexander, the physician who advised the prosecution of the Nazi doctors in Nuremberg, noted that the introduction of utility or functional capacity as the defining metric in health care – and the relative valuation of life that follows – was the fundamental moral misstep taken in the crimes of the Nazi doctors. The compelling question we are left with is what form does this take now? The legacy of the Krankenmorde demands our sophisticated engagement with questions about our culture and our values. We must do so in a manner that avoids facile comparisons with ‘what the Nazi’s did’. Questions such as: How do we value people? Have our professions engaged with their past as a means of reflecting on their future? Do our social institutions operate on resilient value systems that would prevent the kind of collaboration with a malignant political influence seen in the National Socialist period? Are we a community that can reflect on latent racism and ableism? Does our health system value all life intrinsically? Does well-intentioned end of life legislation safeguard future abuses? Are reproductive rights inalienable? We might take comfort that we remain vigilant about another Hitler hijacking our social institutions and professions. In doing so, we must not neglect the series of small steps taken by others (unwitting or otherwise) that made that possible. It is our hope that initiatives such as the ‘Registered, persecuted, annihilated’ exhibition and the public programs around it will help to contribute to this reflection. This is an edited version of the address given by Associate Professor Michael Robertson at the launch of the exhibition ‘Registered, persecuted, annihilated: the sick and disabled under National Socialism’ held at the Jewish Holocaust Centre in November 2018. Dr Robertson is a Clinical Associate Professor of Mental Health Ethics at Sydney Health Ethics and a visiting Professorial Fellow at the Sydney Jewish Museum. GEORGES MORA’S LETTER OF 28 DECEMBER 1987 Dear Mrs Feniger, On receiving the invitation to participate in your exhibition From Holocaust to New Life I felt very honoured indeed. However after the torment of two sleepless nights I have decided to decline. It is true that I am proud to be an Australian now but my contributions are negligible, especially in the context of the history of the Holocaust. The Holocaust was a tragedy of such proportions for all of us Jews that I personally cannot be cheerful about my survival, let alone celebrate it. Yes, indeed, quite often I cannot believe that I am alive, I am ashamed of being happy. in November 1938, which were first targeted, to be followed immediately by the persecution and humiliation of the rabbis. entirely different from what it had been prior to the Holocaust. That is, the Holocaust destroyed both Ultra-Orthodoxy’s human and geographic world as well as its ideological and theological world. However, for post-Holocaust Ultra-Orthodox society, which sanctifies the tradition passed down through the generations, perhaps the greatest tragedy was the breach in the generational chain. Thus, during the second half of the 1940s and during the early years of the ‘50s, Ultra-Orthodox Jewry in toto suffered inordinate trauma at every level. Many from within the Haredi world and beyond doubted whether the Ultra-Orthodox movement could recover. Yet, unexpectedly, and in defiance of the historical circumstances ranged against the movement in almost every sense, Ultra-Orthodox society succeeded in coping with the challenges it confronted in the wake of the Holocaust. These challenges included the desertion of youth from its ranks. Yet, within several years after 1945, the Haredi stream began to flourish unprecedentedly – even when compared with the so-called golden era of Ultra-Orthodox Jewish life prior to the Holocaust. The reemergence of Ultra-Orthodox society on the historical landscape after the severe blow it suffered during the Holocaust has proved to be an enigma. How did the Haredi movement chart a new path after it had lost the core of its future generation and having been deprived of its best leaders and rabbis? How did the miraculous revival of this group come to pass in the secular Zionist State of Israel, of all places, where it constituted a demographic and ideological minority? And how is it that the process of recovery, which took place with surprising speed, was led by Holocaust survivors who had personally experienced the inferno and emerged from it broken and mourning their dead? Furthermore, not only did Ultra-Orthodox Jews lose their lives during the Shoah, but an entire cultural Haredi world composed of oral traditions, customs, niggunim4 and more, went up in flames. How could UltraOrthodox society rehabilitate itself? Academics dispute this view, arguing that the Holocaust should be perceived in an historical context against the background of postEnlightenment modernity and the emergence of the race sciences. They eschew religious motives to the genocide, noting that the Nazis targeted non-observant Jews, assimilated Jews and those who converted to Judaism by non-halachic procedures. This view endorses the belief that racial determinants underscored the Nazi program to exterminate the Jews. Ponevezh Yeshivah, Bnei Brak, Israel. Teacher and pupils at the Agudat Israel Kinderheim, Ulm, Germany. followed before them, paying frequent visits to the same Hassidic courts frequented by their grandparents – these are the most clear-cut, honest, and authentic proofs for them of who ultimately won this terrible war; they are deemed to be everlasting proof of revenge and the ultimate victory for the Haredi world. Haredi society offers its ‘miraculous’ rehabilitation as irrefutable proof of the justice of its path. In this context, the Haredi survivors of the Shoah are perceived as representatives of a lost world, one that Ultra-Orthodox society depicts as idyllic – the worldview and values for which Ultra-Orthodoxy has cultivated nostalgia. The heroes of Kiddush HaShem stories were Hasidim, rabbis, and ordinary people who sacrificed themselves in order to maintain their faith and their religious lives during the Holocaust. Examples include crying out Shema Yisrael as their dying words, singing Ani Ma’amin on their way to the death camps, or observing the Sabbath, Kashrut and holy days under the harshest circumstances. It is this legacy that the contemporary Haredim perpetuate. They need no museums, perceiving themselves to be ‘living monuments’. 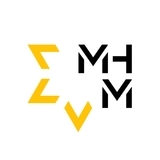 Thus, the major role of Holocaust memory in Haredi society is to build a rehabilitating narrative of continuity and to overcome the paralysing and destructive effects of the narrative of crisis. Despite deep differences, secular and Haredi historiography and memory of the Holocaust share certain common characteristics, such as the emphasis on heroic behaviour and the effort to repress fears and anxieties. The tendency to determine an appropriate pattern of behaviour during the Holocaust – that is, the imperative to observe the Torah under all conditions and the focus on spiritual heroism – made survivors unwilling to tell their stories, which sometimes contained elements that did not accord with such exemplary conduct. Some of the survivors are ashamed to tell their own children that during certain periods they had not been able to observe all the mitzvot. Thus, both the dominant western public discourse and that of the Haredim has compelled Haredi survivors to explain, to themselves and others, that not only had they survived as decent people; they had not abandoned their loved ones who had perished in the Holocaust and who had not forsaken their values in order to save their lives. Nor had they abandoned, even for a moment, the Torah and its commandments. By means of such stories, Haredi society has sought to endow the deaths of the millions with religious and ideological meaning and to perpetuate the narrative of the survival and strengthening of the Haredi way of life after the Holocaust. The question is whether we can call this approach a unique recollection of the Holocaust or whether it is, rather, a dangerous repression or even a denial of the greatest tragedy the Jewish people has ever experienced. Dr Michal Shaul is the Chair of the History Department and the director of ‘Amital’ Holocaust studies program at Herzog Academic College in Israel. She is the author of a prize-winning book about the Ultra-Orthodox community and the Holocaust, published in Hebrew. She was a scholar-inresidence at the Jewish Holocaust Centre in 2017/2018. recently returned from Eastern Europe, my eighth journey to the ‘blood lands’ of the Holocaust. My journey was undertaken for a large-scale research and exhibition project designed to depict the ‘landscapes of death’ or, to use the term coined by the Austrian historian Martin Pollack, ‘contaminated landscapes’. Tracing and exploring the murder and memorial sites is part of a new, steadily growing sub-field of Holocaust scholarship dealing with the ‘topography’ or ‘geography’ of the German genocide – an approach that integrates the Holocaust into the disciplines of landscape, museum and environmental studies. of the deserted Majdanek death camp. Its first and most important task was to collect eyewitness accounts and other material, documenting the Jewish catastrophe which was still unfolding. In the summer of 1944 the ‘Final Solution’ reached a new peak with the mass murder of Hungarian Jews in the gas chambers of Auschwitz-Birkenau. What had started in Lublin continued in Lodz, Warsaw and other cities. From August 1944 until December 1945 some 1,500 testimonies were collected. By the end of 1947 the number had risen to 7,300. A country-wide network of historical commissions and branches, a group of officials and volunteers, among them the zamlers (collectors), created archival depositories preserving survivor accounts, German and Polish documents, Jewish records, letters and diaries, books and papers, pictures and photographs, songs and sayings, religious objects and other items. Relying on these sources, Jewish historians began to document and reconstruct the history of the Holocaust, focusing on the annihilation of Polish Jewry. Having survived in ghettos and camps, or in hiding on the ‘Aryan side’, they followed the patterns of their predecessors who had once established a flourishing Jewish historiography in Eastern Europe and fulfilled the ancient obligation of zakhor (remember) – to keep the memory alive. After liberation survivor historians in Poland, the driving force in developing a new distinct historiographical genre, termed at the time khurben forshung – the Yiddish for ‘destruction research’ and Vernichtungswissenschaft, the ‘science of destruction’ in German. Filip Friedman introduced this term to indicate that the persecution and murder of the Jews was a specific German crime. Indeed, the perpetrators never used the term ‘murder’. The Germans instead spoke of Vernichtung, as Dan Michman puts it, turning the Jews into nichts – nothing. Laura Jockusch defines the khurben forshung as a Jewish ‘historiography in transit’ that provided the basis for the emergence of the modern Holocaust research. The first empirical cornerstone was based on the early voices of survivors. Having survived in ghettos and camps, or in hiding on the ‘Aryan side’, they followed the patterns of their predecessors who had once established a flourishing Jewish historiography in Eastern Europe and fulfilled the ancient obligation of zakhor (remember) – to keep the memory alive. offering a window into the destruction of Jewish life and recording the experiences of suffering and survival. At the same they have been testament that the German murderers and their collaborators did not entirely achieved their ultimate aims – to annihilate all Jews, to eradicate the ‘Jewish spirit’ and to erase the evidence of the heinous crimes committed. Testimonies created, in Elie Wiesel’s words ‘invisible tombstones, erected to the memory of the unburied’. Murdered Jews were denied a place in a Jewish cemetery, or in any cemetery. Survivor accounts functioned not only as ‘substitute gravestones’ but also as a ‘lighthouse’ providing guidance for Holocaust research, remembrance and education. Names and places contained in early eyewitness accounts assisted the search for missing relatives and friends, a search which continues to this very day. Descendants of survivors relied on this data when tracing their family history. Testimonies supported claims for compensation and restitution. Statements and affidavits made in police investigations and war crimes trials played a vital role in tracing perpetrators and bringing them to justice. They were also crucial to combat the never-ending Holocaust denial campaigns unleashed by antisemites. Jewish historians shared the view that the documentation and writing of the Holocaust should not be left in the hands of non-Jews, let alone Germans, as they could not – or would not – reconstruct the Jewish history and reveal the Jewish dimension of the Holocaust. Wherever survivors were liberated and registered in DP camps or refugee houses, in Jewish communities or relief organisations, they were asked to tell their stories. Altogether, almost 30,000 testimonies were recorded in the immediate post-war period – in Lublin and Warsaw, Bucharest and Budapest, Bratislava and Prague, Paris and Amsterdam, and Berlin and Munich. It took half a century to challenge the powerful myth surrounding the postwar silence of the Holocaust. survivors to tell their stories. The Spielberg Foundation collected more than 2,500 testimonies from survivors living in Australia and more then 1,300 video testimonies have been recorded here in Melbourne, largely at the Jewish Holocaust Centre (JHC) by Phillip Maisel OAM, a survivor from Lithuania. Several hundred are kept at the Sydney Jewish Museum and the number of Holocaust memoirs published in Australia amounts to over 500. The JHC has been, and will continue to be, the custodian of the voices of survivors. Freda Hodge presents 30 accounts of Yiddish speaking survivors, retrieved from the largely unexplored depths of Holocaust history. They bear witness both to the destruction of Jewish life and to its continuity. This is an edited extract of the address Emeritus Professor Konrad Kwiet delivered at the launch of Tragedy and Triumph: Early Testimonies of Jewish Survivors of World War II, held at the Jewish Holocaust Centre in October 2018. Professor Kwiet is Resident Historian at the Sydney Jewish Museum and former Pratt Foundation Professor in Jewish History and Holocaust Studies at the University of Sydney. the journal eventually achieved a circulation of 12,000 copies. It was sent to all Displaced Persons camps in the American Zone and to Jewish communities in other regions of Germany and overseas. Over more than two years of publication ten editions of Fun Letzten Khurben were issued, totalling more than 1,000 pages. The contents focused on Poland, Lithuania and Belarus, and included testimonies, documents, photographs, folklore such as songs, poems, and expressions, reports on current activities of the Central Committee, and bibliographical lists. The journal grew from 36 pages in Volume 1 to 185 pages in Volume 10. The selection comprises thirty testimonies of men, women and children, covering ghettos, labour and work camps, concentration and extermination camps, and forests; the testimonies include discussion of Mielice, Dubno, Radun, Siedlice, Braslav, Kovno, Volozhin, Myadel, Stanislavov, Bialystok, Sobibor, Treblinka, Auschwitz, and Balkenheim. Hodge’s translations provide an important contribution to Holocaust studies by enabling access to a diverse sample of historical sources that Professor Kwiet describes as a ‘huge, largely unexplored, dispersed and fragmented’. These testimonies are of special significance for historians as they were recorded at a time close to the events described. Review by Professor Andrew Markus, Pratt Foundation Research Chair of Jewish Civilisation, Monash University. The IHRA meets in Ferrara, Italy The central issue we are facing today is not Holocaust denial, but Holocaust distortion. We have to remember that we have a tremendous responsibility to safeguard the historical record of the Holocaust – a responsibility to ourselves, to our future, to our children, and to our grandchildren. – Professor Yehuda Bauer, IHRA Honorary Chairman, in his address to the Ferrara Plenary. members of the Australian delegation, comprising Angus ActonCavanough (delegation leader), Pauline Rockman, Dr Steven Cooke, Dr Donna-Lee Frieze, Suzanne Hampel, Prof Suzanne Rutland and Dr Andre Oboler, were in attendance. The exciting news is that the Hon Marise Payne, Minister for Foreign Affairs, has submitted Australia’s formal application for membership to IHRA International and we hope to take our place as a full member at the Luxembourg plenary in June. During the meetings in Ferrara, Heads of Delegation chose to focus on the topic of antisemitism – a shared challenge for all member countries. The IHRA Strategy identified countering distortion as the key challenge requiring IHRA’s attention over the next five years, and Ferrara provided an opportunity for the exchange of ideas about Holocaust distortion as a form of antisemitism, among other topics. n 6 December 2018, members of the Victorian Jewish community joined a walk in remembrance and appreciation of indigenous leader William Cooper and the march that he led to the German Consulate in Melbourne on 6 December 1938. In 1938, William Cooper set out from his home in the innercity suburb of West Footscray to deliver a petition to the German Consulate. A compassionate and concerned man, he was horrified about the events that had taken place on Kristallnacht when nearly 100 Jews were killed and more than 30,000 arrested and incarcerated in German concentration camps. In 1938, indigenous people did not have Australian citizenship or the right to vote, and were not counted in the census. However, William Cooper, a 77-year-old Yorta Yorta elder and Secretary of the Australian Aborigines’ League, protested against the Nazi regime’s treatment of the Jews at a time when many in the international community were still seeking appeasement with Adolph Hitler. Eighty years later, staff and volunteers from the Jewish Holocaust Centre joined the commemoration organised by the William Cooper Legacy Project and the Jewish Community Council of Victoria. William Cooper’s grandson, Alfred ‘Uncle Boydie’ Turner, addressed the 500-strong crowd before the marchers stopped at the site of the former German Consulate in Collins Street where William Cooper attempted to deliver his petition. Michael Pierce, the Honorary German Consul, spoke to those gathered before the march concluded with a Smoking Ceremony and Chanukiah lighting. dolf Faktor (now Andy Factor) was born in Plauen on 18 January 1924 to Chiel and Dora. His brother, Helmut (Henry), was born a year later and his sister, Ruth, in 1932. The family lived in Falkenstein, a town that allowed residency to ten Jewish families. The children went to the German state school, played soccer and enjoyed going to dances and swapping stamps with their neighbours. Theirs was a strict German upbringing. Chiel, a successful manufacturer of womenswear, worried about assimilation, so he employed a melamed, a religious teacher, from Poland whose name was Birnbaum. It was Birnbaum’s job to establish a cheder (Jewish religious school) to teach the Jewish boys Yiddishkeit (Jewish culture and values). When Hitler came to power in January 1933, Adolf changed his name to Abraham Josef. Within a year, he found himself ostracised at school and shunned by the boys he used to play with. The teachers would make him sit at the back of the class at a desk designated for naughty children – he was no longer allowed to sit next to a German child. Soon after, he was told that he could not play sport with the other children or go swimming. Signs at the pool read ‘Jews and dogs not allowed’. This was Andy’s first encounter with discrimination. laboriously copy them in intricate detail. His teachers recognised his talent but were too frightened to give him credit. Der Sturmer, the weekly Nazi newspaper, espoused the belief that the Jews were responsible for Germany’s terrible economic situation and for losing the First World War. In Year 9, Andy was called to the front of the class and made to stand on a box while the teacher took a cane and described the typical features of a Jewish face to the rest of the class. On Kristallnacht, 9 November 1938, Chiel and Andy were arrested by the SS and led through the town. Neighbours looked out their windows cursed them, and one woman even spat on them. Andy was only 14 years old and was incarcerated at the Plauen prison with his father. One week later, Andy was pulled from the cell and put in a room with a doctor who marked him unfit for a concentration camp. Chiel was sent to Buchenwald and remained there for six weeks before his relative, Max Factor, the then Hollywood makeup artist, intervened to have him released on the condition that he leave Germany with his family within 14 days. Chiel bought his sons violins and before long they were invited to play at functions. They were called the Wunderkinder, playing Strauss waltzes and making up their own arrangements for the music of the time. It was suggested that Andy be sent to Leipzig to attend the conservatorium, but his application was refused on the basis that he was Jewish. Max Factor died in 1936, leaving provision in his will that anyone in his family wanting to leave Germany would be given funds to cover their fares. As a result, Andy and his family were granted temporary visas to France, where they lived well with family in Paris, supported by the Max Factor fund. Andy became Andre and took up the violin seriously, practising eight hours a day under the tutelage of two teachers – one for the right hand and one for the left. His uncle Max, Dora’s brother, gave him drawing lessons and taught him the basics of making photographic reproductions of drawings, cartoons and caricatures. Despite their relative good fortune, the family’s status in France was temporary and they did not know where to go. They were unable to join their American family as the US had introduced a quota for European refugees. So, in December 1939, the family left France and sailed out of Genoa on the SS San Remo, bound for Australia. Thinking that Australia would be a primitive island with nothing but anthills, sheep stations and wild animals roaming around, everyone onboard bought helmets and safari outfits in preparation for their uncivilised destination. When they arrived in Fremantle in February 1940, a Jewish Welfare Society representative met them on the pier and told them to take off their ridiculous outfits. They were happy and relieved to see proper buildings and streetlights. When they arrived in Melbourne, the family settled into life in Carlton. Newly arrived refugees had to work hard to make a living but the Jewish community went out of its way to support new arrivals. Andy’s mother worked as a machinist and his father ran a clothing factory in the city. Andy completed his matriculation and studied commercial art and signwriting at Swinburne Technical College, after which he was employed by the Myer Emporium (now Myer Melbourne). In 1942, when Andy was 18, he was drafted into the army where he served as a ‘friendly alien’. Demobilised at the beginning of 1946, he changed his name by deed poll from Abraham Josef Faktor to Adrian Factor. In 1949 Andy met Betty Farb at Habonim, a Jewish youth group. They married, moved to Carnegie and had their two daughters, Myra and Elena. Andy’s day job was to help his father run his clothing factory, but he also became an Associate of Music at the Conservatorium of Music, with a degree in violin. In 1961 he landed a job with the Sadler’s Wells Company, then the lead orchestra for most musicals that came to Melbourne. He also worked for the Melbourne Symphony orchestra, the ABC Showband, ballet and opera and led orchestras for legendary performers such as Sammy Davis Jnr, Dionne Warrick, Cleo Lane and Shirley Bassey. Andy enjoyed a stellar career and taught music for 40 years. Today, at the age of 94, nothing interferes with his two-hour practice a day, when he composes new pieces and plays his favourite Bach violin sonatas. He also volunteers at the Jewish Holocaust Centre where he speaks to students and other visitors, in memory of his relatives in France and Germany who were murdered during the Holocaust. Roxanne Lambert is a volunteer at the Jewish Holocaust Centre. Become a Friend of the Jewish Holocaust Centre & support the activities of the Centre. The Friends of the Jewish Holocaust Centre plays an important role in providing financial support to the Centre through membership subscriptions, raffle book sales, sales of the Entertainment Book and social fundraising functions. To become a Friend of the Jewish Holocaust Centre, simply download and complete the form from jhc.org.au. For further information please contact Elly Brooks on (03) 9528 1985 or email ellyhbrooks@gmail.com. attendance by 16 Holocaust survivors – the Social Club became a regular feature in the JHC calendar, bringing together survivors, retirees and many others. Barbara’s enthusiasm and energy proved very infectious. Barbara’s commitment to supporting Jewish causes, especially those which focus on Israel, is unremitting, With the JHC’s decision to end the monthly Social Club gatherings (the auditorium is needed to accommodate the increasing number of school groups attending JHC education programs), Barbara has become involved with ZDVO-Beth Halochem Australia, which focuses on the support, care and rehabilitation of injured IDF veterans. She also works to support the Haifa-based Rambam Hospital. Barbara continues to maintain close contact with Holocaust survivors and to serve as a Custodian of Memory to her special friend and survivor-guide, Lusia Haberfeld, with whom she meets regularly. The JHC, together with all who have been involved with the Centre, owe a sincere debt of gratitude to Barbara Sacks for her unstinting dedication and commitment. Dr Michael Cohen is the former JHC Director of Community Relations and Research. Seventy years since we arrived, a biblical lifetime, then so far from the only world we knew. Hope in its fullness was fervent as we were carried away from the Horror in which our lives recently turned. Yet somehow we survived. How could our minds and bodies suppress, negate, this ransomed past in our provincial land? We scarcely outlived a Nazi racial law. These people welcomed us, yet leering looks brought bitter thoughts. Yet somehow we survived. New language, new reality, a new epiphany: indefinite seasons, harsh colours, new bird song. Weird conformities, conjured by cultural sympathies, like unexpected distorted tunes. A little embittered. Yet somehow we survived. We found a small brick suburban house, quite different from the city we had known with its rich history, yet lacking in humanity. This gentle little house became our home as incrementally we changed identity. Exiles, for a long time foreigners in this land, like precious raindrops in a drought, our love grew more and more. Gratitude – the guiding light for those early years and far beyond, since we arrived on these shores. Old world’s values slowly swept away, some inevitably held in Time’s command. Food, friends and family, the primary sway that recounted our need to understand. Good times piqued our yearning to repay. Paul Kraus was born in October 1944 in an Austrian labour camp, where his mother Clara and brother Peter had been imprisoned. In July 1944, Clara and Peter had been sent to Auschwitz from their home in Subotica, Serbia. When the train stopped and the prisoners were grouped into two lines, Clara managed to escape from the Auschwitz line and was sent to the labour camp. Clara and her two very young children miraculously survived and, after liberation, they made their way to Budapest. Months later, they were reunited with Paul’s father, Emery (Jim), who had survived Mauthausen Concentration Camp. The family migrated to Sydney in 1948. Paul is a survivor of mesothelioma, metastatic prostate cancer and a brain tumour. He has written a number of books on health and healing, as well as writing about refugees in Australia. Home: abiding, turbulent, tender, open to redemptive love, overshadowed, foreshadowed by goodness, grace, security. Inclusiveness brought an abiding faith, An irreplaceable support, a simple joy. Each season of the heart came and went through this great, tremendous odyssey. Echoes, mainly beautiful, struck endlessly: you are, you are, you are, a confirmation simply stated in a transcendental way. Phillip Maisel Testimonies Project The Jewish Holocaust Centre has over 1,300 video testimonies as well as over 200 audio testimonies in its collection. These provide eyewitness accounts of the horrors of the Holocaust, as well as glimpses into the vibrancy of pre-war Jewish life in Europe. The collection is widely used by researchers and students of oral history, the Holocaust and a variety of other disciplines. If you would like to give your testimony or know of someone who is interested in giving a testimony, contact Phillip Maisel. Phone (03) 9528 1985 or email testimonies@jhc.org.au. the establishment of the Australasian Association of Holocaust Organisations (AAHO). It is through Warren’s efforts that the international profile of the Centre has increased. Warren understood the importance of anticipating and responding to the future, and he leaves the JHC in a strong position to embark on our planned rebuilding project. He has served the JHC with dedication and distinction and we are indebted to him for his professionalism and commitment. We thank you for helping the Centre go from strength to strength and we wish you well in your retirement. Sue Hampel OAM is co-president of the Jewish Holocaust Centre. She spoke at Warren Fineberg’s retirement in December 2018. Icek Hoppe. It seemed natural to ‘twin’ Jenna with Leah. After a bat mitzvah ceremony mid-year at Caulfield Shule, Jack and Norma hosted a function for Jenna on her birthday, 8 December 2018. There Allen Brostek, on behalf of Jewish Holocaust Centre (JHC), presented Jenna with a certificate acknowledging the donation Pola, Jack and Norma made to the JHC in honour of Jenna and in memory of Leah. ‘It is a way of bringing the memory of the Holocaust into the next generation,’ said Jack and Norma when asked about their thoughtful donation. If you are considering donating to the JHC in honour of a special occasion, please contact Danielle Kamien, Marketing Manager, on 9528 1985.
the parochet to his school, Mount Scopus College, for safekeeping. For unconfirmed reasons, the synagogue textile was never on show; and this lack of exposure to light is what has preserved the richly decorated silk and couched metallic embroidered curtain to a relatively good condition. The curtain was returned to the Fagenblat family, who have very generously offered it to the JHC as a loan for the new museum. n exhibit featuring the Polish town of Czestochowa as a template of a Jewish European town is planned for the new Jewish Holocaust Centre (JHC) museum and will feature the model of the Old Synagogue created by Chaim Sztajer. It was a very exciting moment when we heard from JHC curatorial volunteer Hannah Fagenblat that her husband Mark and his brother Len had a parochet – the curtain the covers the Aron Kodesh (Torah ark) – that originated from the New Synagogue in Czestochowa. This is now being offered to the JHC on long-term loan. Holocaust. The New Synagogue was destroyed by the invading Nazis soon after the outbreak of war, on Christmas day in 1939. It is unclear how Chaim came to retrieve the hidden parochet after the Holocaust or where the sacred item had been hidden; in the immediate post-war period, 1945 or 1946, he was photographed in a march, holding the parochet as a flag. Chaim and his wife Bluma, another survivor from Czestochowa, immigrated to Australia in 1949. Tragically, both died prematurely from ill health, Bluma in 1957 and Chaim in 1963. An article by Greer Fay Cashman in the Jerusalem Post in April 20181 featured Alon Goldman, Chairman of the World Society of Czestochowan Jews, discussing historical details about the parochet from the New Synagogue, including it being made from flags featuring the Polish eagle symbol carried by the Polish Legions that fought alongside Napoleon’s Army against Russia in the late 1700s. He discovered that there was such a parochet in the Israel Museum in Jerusalem, with few provenance details. However, Alon was soon contacted by Mark Fagenblat in Melbourne, who contributed information about the missing piece to the story, the second parochet, which his parents had brought with them to Australia. On a recent visit to Israel, I was fortunate to meet both Alon Goldman and Gioia Perugia, Collections Manager at the Israel Museum. Alon Goldman has generously contributed historical information and voiced support for our proposed exhibition. After many years of storage in non-ideal conditions, the parochet is showing its historical scars, with some stains and tears in the delicate silk fabric, and some discolouration to the metallic thread. Along with Sztajer’s model of the Old Synagogue, it needs professional loving care in the form of conservation treatment, so we shall be investigating funding sources for the preservation needs of this rare historic artefact. With thanks to the Fagenblat family, Alon Goldman and Gioia Perugia. who credited his survival to the food parcels that Maria’s mother had sent him. Maria studied medicine in Lodz and specialised in paediatrics. She met Ignacy, who was a filmmaker in Lodz, and they married in 1954. Their daughter, June, was born in 1956. Realising that antisemitism was still rife in Poland, they decided to leave, ultimately arriving in Melbourne by boat in 1958. Their second daughter, Ann, was born in Melbourne in 1959. In the early 1960s Maria recompleted her medical degree at the University of Melbourne and became a GP. Her medical practice mainly served the immigrant community. In 1964, Ignacy, or Jack as he was now known, died suddenly of a heart attack and Maria’s life was once again thrown into turmoil. aria was eleven when the Second World War came to Poland. Her father, who had read Mein Kampf, realised that life as they knew it in Lodz would no longer be possible, so the family left Poland and travelled progressively further into the Soviet Union. There they endured extreme hardship and starvation. Her mother, who had been a teacher in Poland, struggled to obtain even sporadic work, including working in a factory peeling potatoes. Maria redoubled her focus on her medical practice. Despite facing discrimination on the basis of her gender, she was an ‘old-school’ family doctor. She had an unflinching work ethic and her compassionate nature meant that she would never have considered the contemporary practice of timed consultations. She worked seven days a week and attended numerous house calls most evenings. Maria had no administrative help other than from her immediate family. Her proficiency in Polish and Russian meant that she was an essential support to many, especially when the wave of Jewish immigrants from the Soviet Union came to Melbourne in the 1970s. Known for her intellect and compassion, several former patients continued to visit Maria in her retirement. The death of her elder daughter in 2004 to breast cancer was a devastating blow. When Maria was still an adolescent her father died of typhoid. Despite being separated from her mother for stretches of time, somehow both mother and daughter survived the war. Maria continued to read widely and with great insight. She volunteered at the Jewish Holocaust Centre, translating documents in the Archives until the age of 87. She also continued to write letters for Amnesty International to governments considered oppressive, something she had done for much of her life. A critic of successive Australian governments’ treatment of asylum seekers, Maria strongly opposed offshore detention. She saw herself as a refugee and considered that people did not risk their lives and those of their children without good cause. Maria is survived by her daughter Ann, and her grandchildren, Lucienne, Odette, Kyd and Tamara. This tribute was written by Ann, Lucienne and Odette Shenfield, and Andrew McGregor. We apologise if your name has been omitted. Please contact the Jewish Holocaust Centre on 9528 1985 or email admin@jhc.org.au with your details for inclusion in the next listing. If you are interested in leaving a bequest to the JHC or require further information please contact Leora Harrison on (03) 9528 1985 or Leorah@jhc.org.au. Become a Partner in Remembrance The Jewish Holocaust Centre Foundation ensures the continued existence of the Centre and supports its important work. Funds raised through the Foundation are invested, with the earnings providing an ongoing source of income for the Centre to support its operations and programs into the future. For more information on how you can help support the Foundation and how your support will be recognised, please contact Helen Mahemoff, Chair of the Foundation on 0417 323 595 or email jhcfoundation@bigpond.com.